Woollatt Building Supply deals with Owens Corning, Rockwool and Plasti-Fab. We carry a wide variety of products: thermal, sound, fire and interior/exterior products. Please call one of our highly-trained sales staff to help you with your insulation needs. 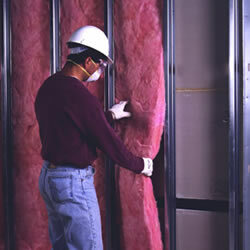 ABOUT OWENS CORNING: Owens Corning develops, manufactures, and markets insulation, roofing, and fiberglass composites. Global in scope and human in scale, the company’s market-leading businesses use their deep expertise in materials, manufacturing, and building science to develop products and systems that save energy and improve comfort in commercial and residential buildings. Through its glass reinforcements business, the company makes thousands of products lighter, stronger, and more durable. Ultimately, Owens Corning people and products make the world a better place. Based in Toledo, Ohio, Owens Corning posted 2016 sales of $5.7 billion and employs about 16,000 people in 26 countries. It has been a Fortune 500® company for 62 consecutive years. ABOUT PLASTI-FAB: Plasti-Fab’s mission is to provide its customers with expanded polystyrene (EPS) Product Solutions for constructing energy efficient buildings, floatation for marine construction, lightweight fill and compressible fill for Geotechnical construction projects, and component solutions for Original Equipment Manufacturers. Plasti-Fab products provide excellent insulating qualities in a cost-effective way that reduces energy consumption in heating and cooling of buildings. Its products are an integral component for many LEED® certified buildings and Net Zero Energy Homes. Plasti-Fab operates nine manufacturing facilities that produce EPS insulation, Insulating Concrete Forms (ICFs) and Structural Insulating Panels (SIPs) for the Canadian and United States construction markets. Strategically located across North America, the facilities reduce distribution costs to Building Supply Stores, Construction Specialty Distributors and Contractors customers. ABOUT ROCKWOOL: The Rockwool Group is the world’s leading manufacturer of stone wool insulation. They offer a full range of high-performing and sustainable insulation products for the construction industry. Their insulation products are based on innovative stone wool technology and today they are the world’s leading manufacturer of stone wool insulation. The Rockwool group also includes a range of sister companies delivering specialist solutions for the horticultural, marine and offshore sectors. Rockwool are committed to empowering everyone to rise to the development challenges of modern living. By using stone, one of the world’s most abundant natural resources, you can make a lasting impact across generations. From classrooms to stadiums, land to landmarks, people need spaces not only to dream big, but to act on those dreams, making the world a better place for everyone. This commitment is set in stone.